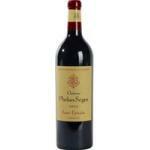 The 2013 Château Calon Ségur Magnum ($278.33) is a red wine made by Château Calon Ségur from Saint-Estèphe with a blend based on petit verdot, merlot and cabernet sauvignon of 2013. The 2013 Château Calon Ségur Magnum is the ideal red to combine with birds and cheese. A Saint-Estèphe is better to be discovered alone. It would have been better with fish. 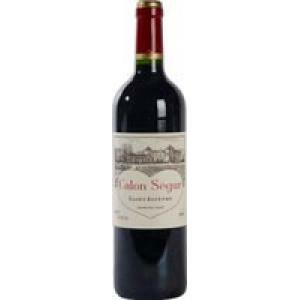 The Château Calon Ségur Magnum is a familiar wine of Château Calon Ségur. Red colour and violet edges. 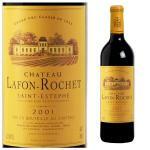 Toasted and smoky aromas. It has an appropriate bitter end. It has a dense colour. 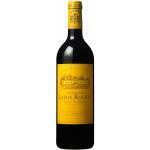 Notes of coffee and wood taste.I noticed a kind of salty aftertaste in the finish. I took this Saint-Estèphe during a brunch. I especially liked the colour. 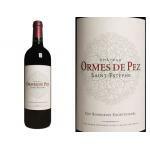 Aromas of berries, typical of Petit Verdot. Very soft. 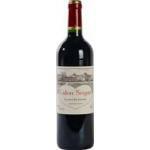 Saint-Estèphe is a good wine area to drink with food. Any meat will suit. It was given to us in a wine tasting stand of red. A Cabernet Franc with a nice colour. Nice aromas of blackberries in this Petit Verdot. I liked its acidity. 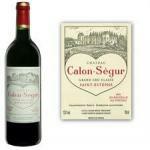 If you want to buy 2013 Château Calon Ségur Magnum, at Uvinum you will find the best prices for Saint-Estèphe red wine. Buy it now at Uvinum, via your computer or your mobile device. We offer a catalog of more than 59.000 products for sale converting Uvinum this way into a leader in Europe with more than 38.000 customers who trust us.